Hi everyone! I've been so busy lately, I haven't been able to blog. Things have sort of settled down and I'm hoping to get back into the swing of things this week. I have the Blue's Clues Duo from Savvy Naturalista to show you all today! 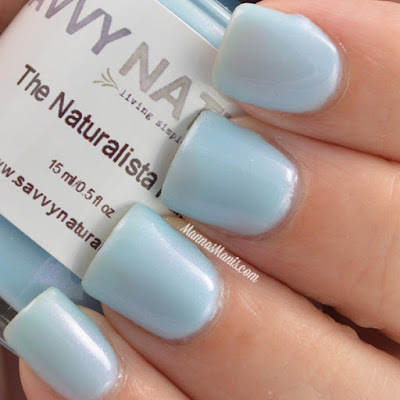 Baby Blue Clue is a sheer baby blue jelly with a sparkly shimmer that is best shown in the sunlight. It's best applied with 3-4 coats, however I pulled this off in 3 and there were no bald batches so I say you can get away with 3 coats! 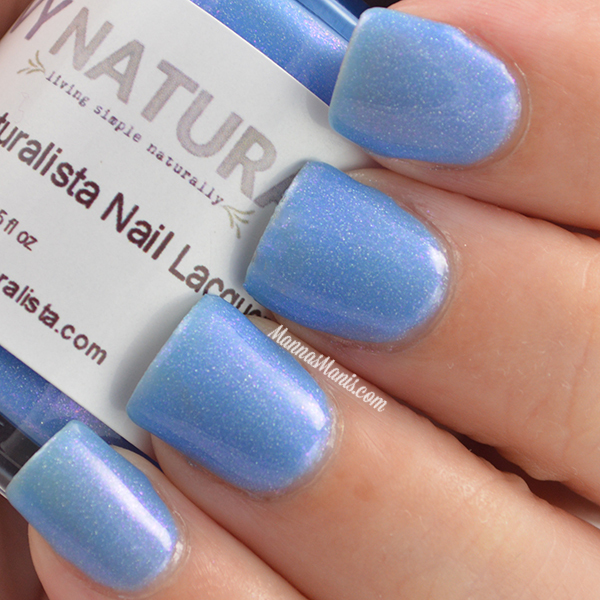 Blues Shifting Paw is a gorgeous blue that's filled with purple shimmer. This is my favorite of the two because I love the bold shimmer. No issues with formula or applications. 2 coats. 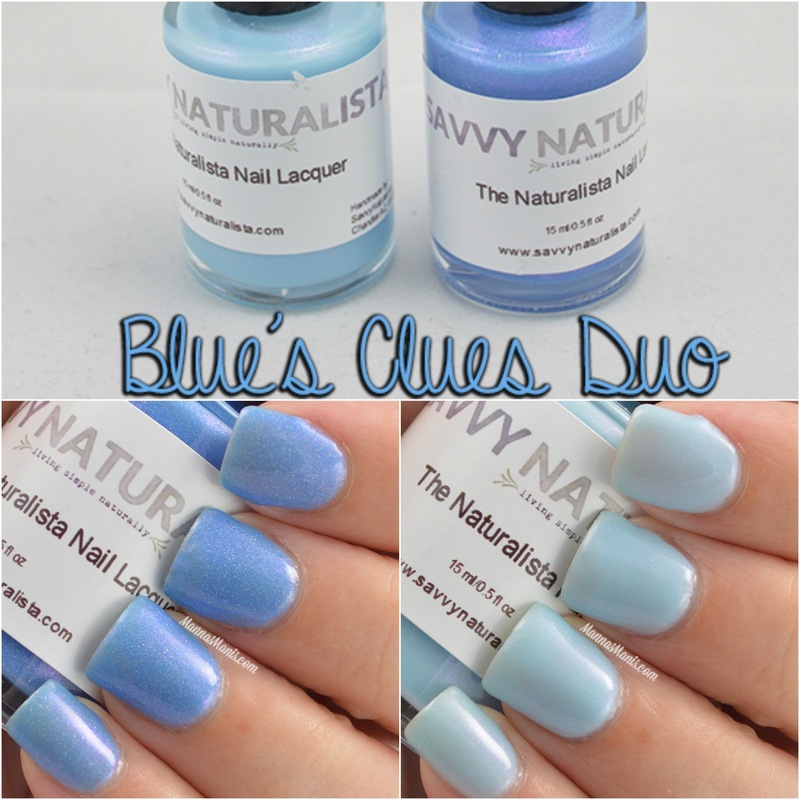 There's also a "mystery polish" with this duo. 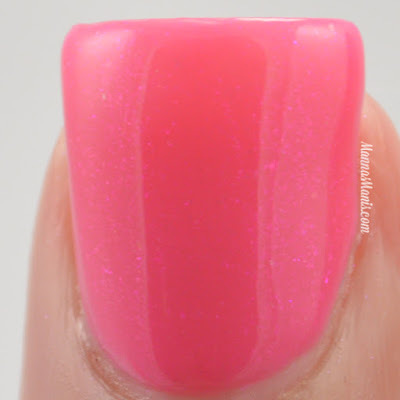 Bubble Gum Mystery is a bright pink jelly with purple shimmers that sparkle in the sunlight. No issues. Builds up nicely at 3 coats. All of these are available at Savvy Naturalista for $8 a piece. 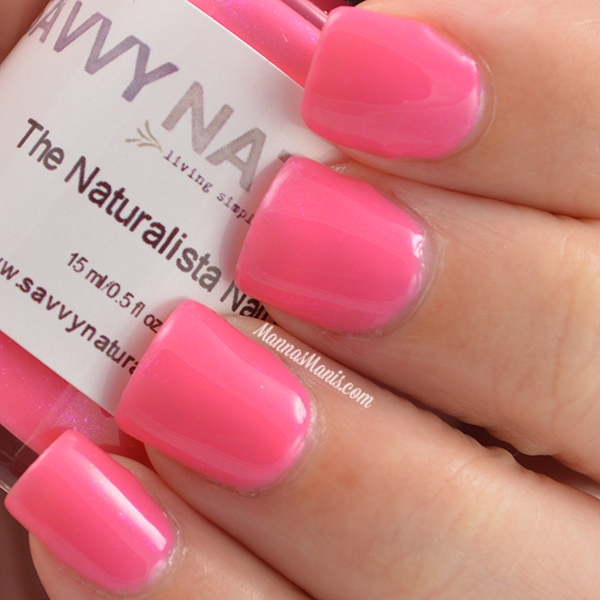 USE CODE MANNASMANIS TO GET 10% OFF YOUR ORDER!